This is How You can Donate Funds for Dams’ Construction in Pakistan. The water crisis in Pakistan is aggravating and the reports revealed that if water reservoirs are not built Pakistan will have absolute water scarcity by the year 2025. 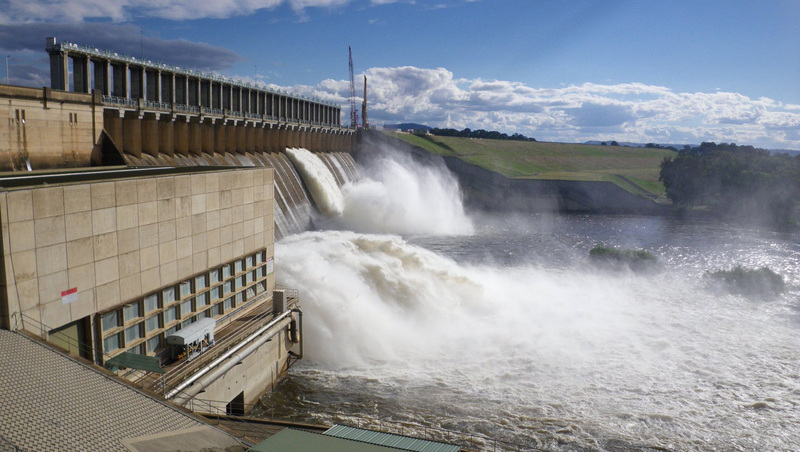 Dams are needed in Pakistan to trounce water shortage and perk up the power generation supply in the country. 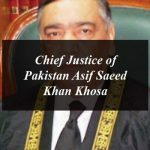 The Chief Justice of Pakistan has initiated to donate funds for the construction of two dams for combating water crisis in the country in future. The Pak Army and the Chief Justice of Pakistan has requested the people of the country to donate funds for the construction of Diamer-Bhasha and Mohmand dams in order to combat the water crises in the country. Chief Justice of Pakistan, Mian Saqib Nisar has himself donate Rs. 1 Million for the construction of dams and as per the statement of Supreme Court the staff (BS-2o to 15) will donate days’ salary of the current month. 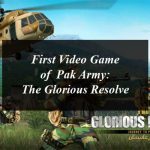 Director General ISPR, Major General Asif Ghafoor also declared that the officers of the army, navy and air force will donate their two day salary for the construction of dams. The State Bank of Pakistan (SBP) has jumped into the matter and decided to collect more than the required funds from the entire nation for the construction of Diamer-Bhasha and Mohmand dams. According to the statement issued by the SBP that the below mentioned account is now operational to collect donation. People across Pakistan can donate funds through 16,000 bank branches and ATMs. How can the people donate for Dams Construction in Pakistan? How to donate Via SMS? The people can also donate funds thorough SMS from their mobile phones. Supreme Court has issued a press release in which stated that the people can also donate for Dams’ construction via SMS. 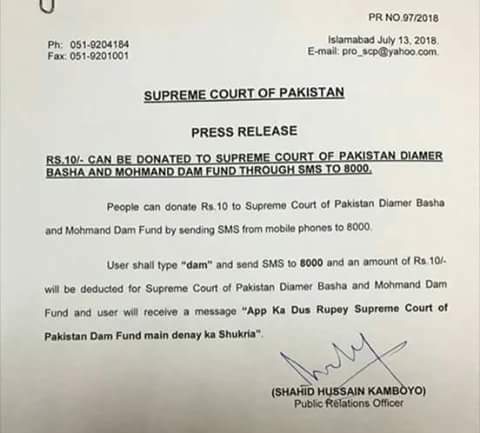 You funds will be deducted for Supreme Court of Pakistan Diamer Basha and Mohmand Dam Fund and user will receive a message “App Ka Dus Rupey Supreme Court of Pakistan Dam Fund main denay ka Shukria”. Two Ways To Donate Funds for the Construction of Dams in Pakistan. This is How You can Donate Funds for Dams' Construction in Pakistan. The water crisis in Pakistan.